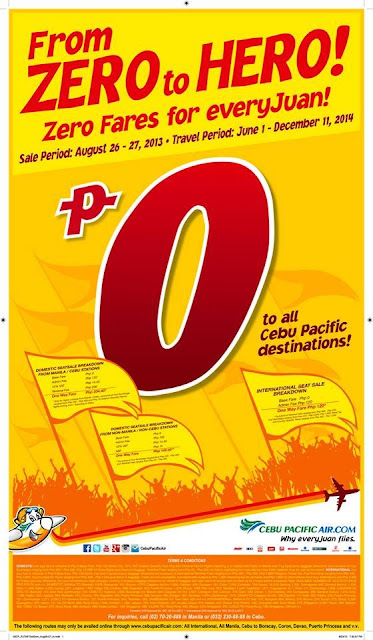 Cebu Pacific Promo Fare: From ZERO to HERO! 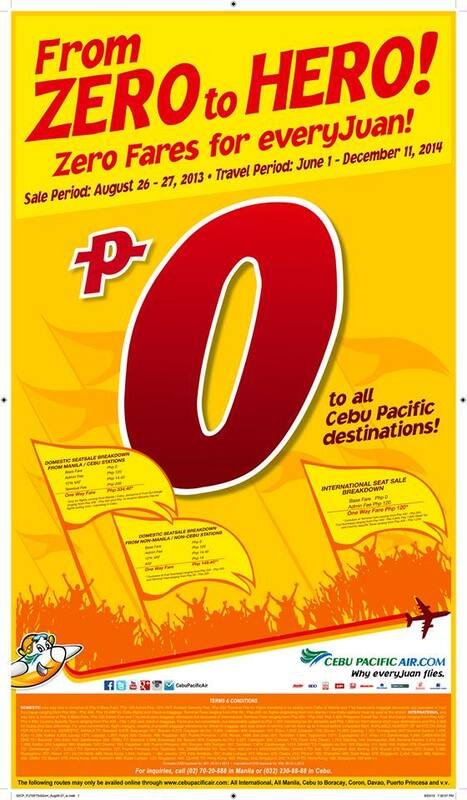 Zero Fares to ALL CEBU PACIFIC destinations! Please note that BASE FARE is ZERO. Still other charges like FUEL and other fees still applies. Our latest #CEBseatsale starts now! Go to www.cebupacificair.com to see full sale details and terms & conditions!